Pat Nevin believes Maurizio Sarri could have one or two potential signings in mind that can help Jorginho to transform the Chelsea FC team. The Italian coach took over the reins of the west London side in the summer after Antonio Conte led Chelsea FC to a disappointing fifth-placed finish in the Premier League last term. 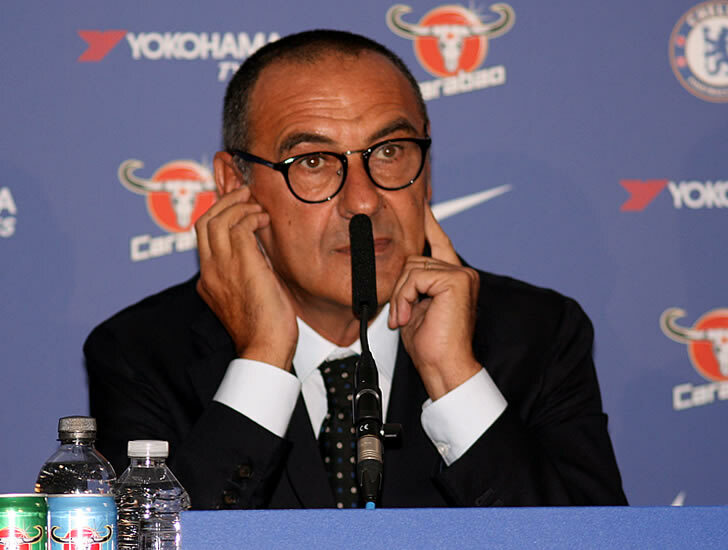 Sarri wasted no time spending £57m on Italy international Jorginho from Napoli, having built his team in Naples around the holding midfielder. Jorginho’s arrival prompted the Chelsea FC manager to start N’Golo Kante in a more advanced role in the Blues team despite the France star building a reputation as the league’s best defensive midfielder. The change of system worked as Chelsea FC won eight times and drew four games to make an unbeaten start to the Premier League season despite Sarri’s lack of previous experience in English football. However, Tottenham exposed Jorginho and Chelsea FC in a 3-1 victory at Wembley last weekend evening to prompt calls for Kante to return to his favoured position in a holding midfield role. While Nevin believes Kante could return to his preferred role in the future, the former Blues winger is confident Jorginho can bounce back from the setback. “If Jorginho is so vital to our style of play, what happens if he isn’t available. Or if he isn’t having a great day, as we can’t all be brilliant all the time. And what happens if the opposition targets him and manages to squeeze his positive influence out of the game?” Nevin told Chelsea FC’s website. Nevin continued: “The question has also been asked about N’Golo Kante’s position wider and further forward than where he has played for us so brilliantly before. And indeed where he has been so successful with France and Leicester before that. Jorginho has been one of the standout players in the Premier League this season after the Brazilian-born midfielder scored on his Premier League debut at Huddersfield Town. Ex-Chelsea FC star Nevin believes Sarri could bring in a couple of more signings to complement Jorginho. “It goes back to the sobering but realistic point that this is still fairly early days under a new coach and a new system. If Jorginho made such a huge difference to the entire ethos and style, it may well be that there is another player or two that Sarri would like to join the squad in good time that would add just as massively to the project,” Nevin added.